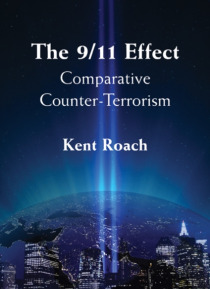 This book critically and comparatively examines the responses of the United Nations and a range of countries to the terror attacks on September 11, 2001. It assesses the convergence between the responses of Western democracies including the United States, the United Kingdom, Australia and Canada with countries with more experience with terrorism including Egypt, Syria, Israel, Singapore and Indone… sia. A number of common themes - the use of criminal law and immigration law, the regulation of speech associated with terrorism, the review of the state's whole of government counter-terrorism activities, and the development of national security policies - are discussed. The book provides a critical take on how the United Nations promoted terrorism financing laws and listing processes and the regulation of speech associated with terrorism but failed to agree on a definition of terrorism or the importance of respecting human rights while combating terrorism.